Schyff Beefmasters – Your Pride. Our Passion! 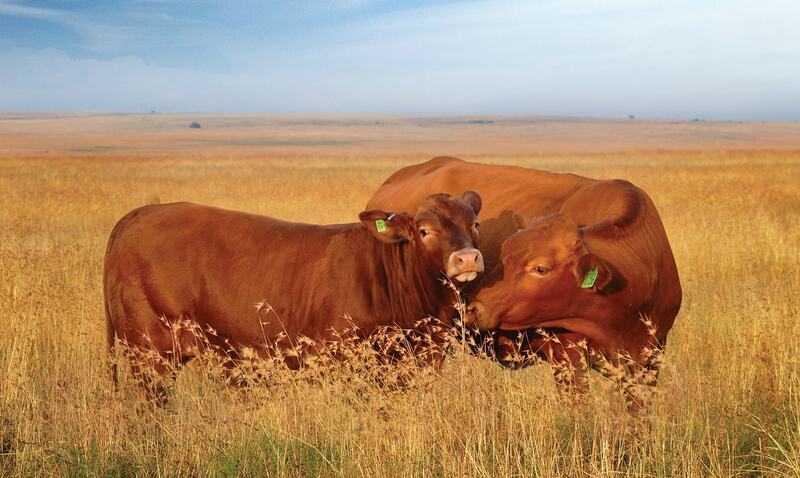 SCHYFF BEEFMASTERS has its roots in the GW van der Schyff Partnership, a fourth-generation family farming enterprise on the farm Rietfontein between Bultfontein and Soutpan. We are two brothers, Wilhelmus and CJ van der Schyff, who are in charge of the business. The main component of the farm is cattle farming. The cattle component is made up of a Beefmaster stud – SCHYFF BEEFMASTERS and a cattle feedlot. Our father, the late Willie van der Schyff, farmed with a wide variety of breeds in his commercial herd, but mainly BEEFMASTERS, Brahman crossbreeds and Bonsmaras. This wide variety enabled us to make an informed decision with regard to the breed with which we wanted to farm in the future. With heavier weaner calves, cows that retain their good condition despite difficult environmental conditions as well as a high re-conception figure, the choice was obvious. The BEEFMASTER breed was our choice to take our farming business to new heights! We selected our first cows in 2008, and that was the origin of SCHYFF BEEFMASTERS. The Beefmaster breed was developed by the well-known American, Mr Tom Lasater, and it was approved as a breed by the United States Department of Agriculture in 1954. We are going to discuss the three most important economic factors which drastically increase the profit per hectare. These aspects concern more their MANAGEMENT and they do not cost as much as a farm, but they can indeed add another farm’s earnings. Our breeding policy follows Lasater’s six essentials, namely: Fertility, temperament, weight, conformation, hardiness and milk production.